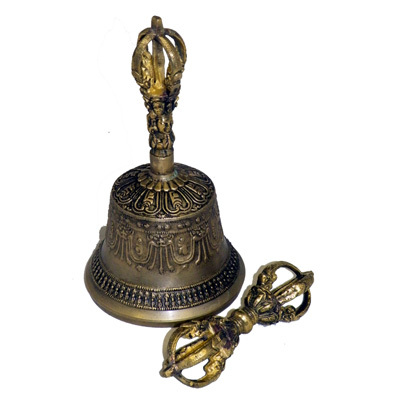 Please note: The Dorje shown is not included with this Tibetan Bell. Hand made Tibetan ritual bell. Height: 21 cm, Diameter: 12 cm.